La Belle Magazine is the Official Magazine for East Coast Starz! East Coast Starz is excited to announce that La Belle Kidz will be the official magazine for our events! The magazine will extensively feature and cover our runway shows, photo shoots and of course the infamous Pink Hummer Limo Trips! We feel their creativity will be an amazing addition to East Coast Starz, our models and sponsors. Check out their latest issue! This issue symbolizes a birth to new fashion collaborations and a celebration of our humbling success and gratitude of our first summer issue! We feel that this summer was a bridge to welcome the fall fashion season! We started off with attending this year’s international children’s tradeshow at ENK Children’s Club and Playtime New York in August and continued on to attending a line of fashion events. We are so excited to share the fashion events that we have covered from New York Fashion Week for designers BOUND BY THE CROWN COUTURE by Susanna Barrett Paliotta, Michelle Ann Kids and Teen Fashion and Ydamys Simo. Check out our cool exciting sections that are going to define this season’s kids’ fall fashion, Back to School Mini Fashion Style, our Back To School Fashion Picks, Back To School Reads and of course our Q&A with our front cover model and actress, Mari Dudash! 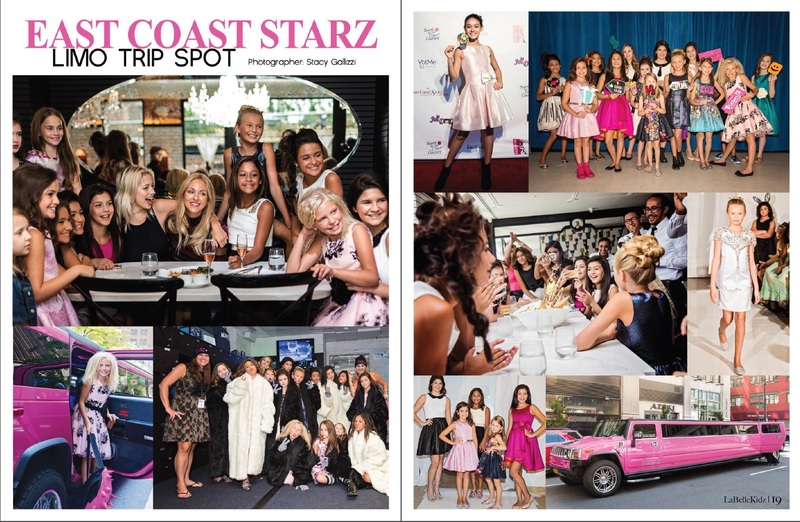 October 1, 2015 | Comments Off on La Belle Magazine is the Official Magazine for East Coast Starz!